The Atlas Copco Secoroc Focus product line includes bits designed to deliver competitive performance on current generation drill rigs. 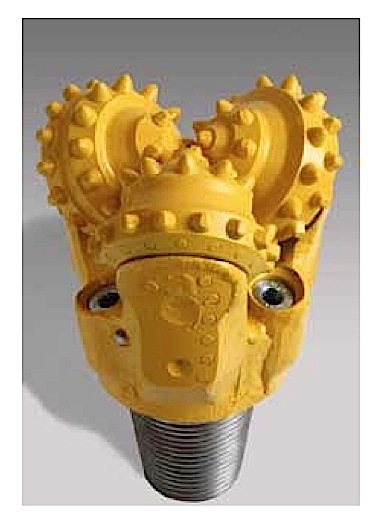 Focus rotary drill bits are available in open bearing and sealed bearing. 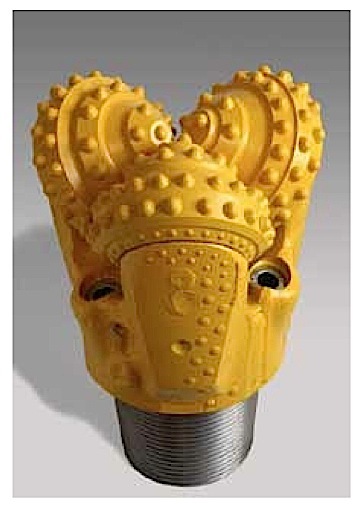 Your selection will depend upon whether the application is Air or Mud circulation drilling. Secoroc Focus rotary drill bits are also available as Milled Tooth or Tungsten Carbide Insert (TCI) bits. 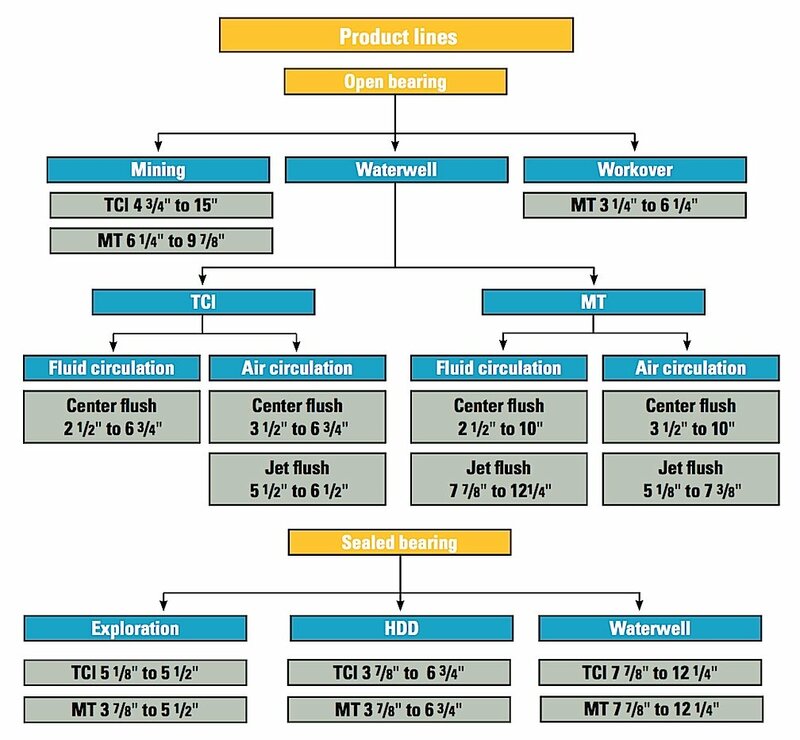 Focus TCI bits have optimally designed bearing structures to withstand extreme pulldown loads typical of today's mining drill rigs. Controlled metallurgy and generous air passages for cooling ensure extended bearing hours. The robust bearing is matched with an aggressive cutting structure providing good penetration rates in a wide cross section of formations. Drilling for water is a demanding activity on the driller, as well as the drill bit. Atlas Copco manufactures Waterwell Bits in Milled Tooth and TCI versions from 2 1/2" in diameter up to 5 3/4" in center flush and jet flush configurations. The Focus division offers larger diameter bits up to 12 1/4". The cutting structures are designed to perform efficiently and increase the bit life with a variety of insert shapes. 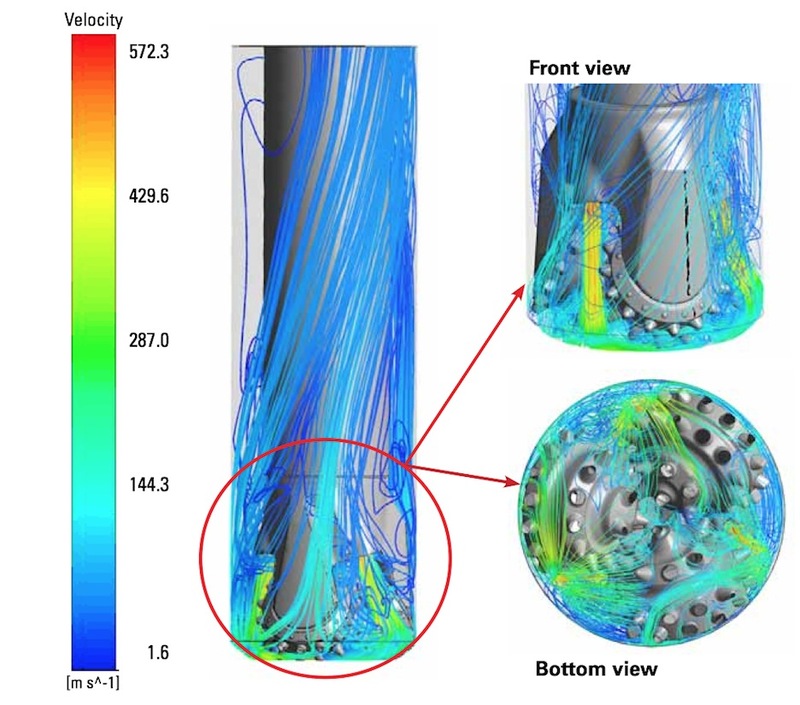 Nozzle size and orientation are optimized for efficient evacuation of cuttings. Regular protection for soft overburdens. Armor protection for wet and abrasive formations like sandstone. 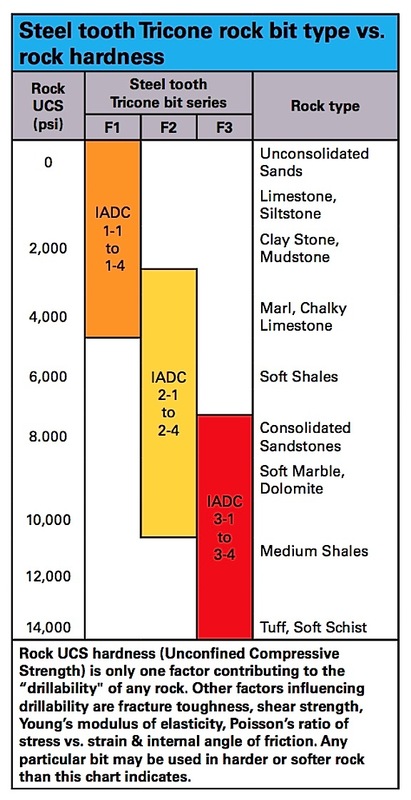 for dense and fractured formations like iron ore. Deeply set spherical inserts on shirttail for effective grip during long runs in abrasive formation. Hard metal welding for superior wear resistance. Atlas Copco manufactures TCI drill bits in various cutting structure designs ranging from aggressive long conical inserts to moderately blunt compacts. Four basic classifications for Tungsten Carbide Insert (TCI) drill bits are divided into the F4, F5, F6, and F7 type series. Each type is designed differently to tailor the cutting structure to most efficiently drill specific formations. Widely spaced, large diameter chisel or conical inserts characterize the F4 series bits. This configuration promotes maximum penetration rates in softer formations that have a tendency to stick and ball up the cutting structure. Inserts in the F5 and F6 series are shorter and more closely spaced. This series has the most densely spaced and shortest projecting inserts, promoting maximum penetration rates in hard formations. The three basic classifications of steel tooth bits are divided into the F1, F2, and F3 Series. * Type F1 steel tooth bits are designed for optimum performance in formations of low compressive strength. Soft formation bits are designed with long slim, strong teeth to permit deep penetration in the formation with comparatively light weight on bit. * Type F2 steel tooth bits are designed for medium formations and have more closely spaced teeth with more gage surface to resist wear. 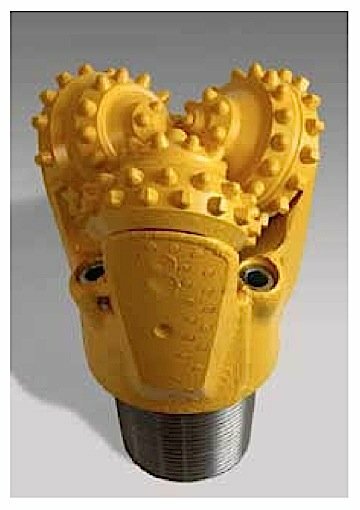 * Type F3 steel tooth bits are designed to drill hard formations. These bits have higher capacity bearings and more closely spaced teeth with increased tooth angles to allow the use of heavier weights required to effectively drill hard formations. Milled Tooth bits are ideal for very soft to medium hard rock. The teeth are hardfaced with Tungsten Carbide for good wear resistance.